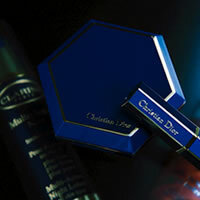 The eye-catching glint of gold or silver to convey a deluxe image has become an indispensable element in the design of packaging for high-class products. 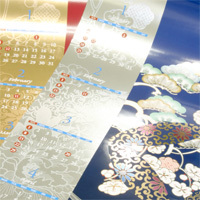 OIKE's metallic stamping foil products can bring the superb luster to a wide variety of base materials. They are a valuable image enhancement tool that is available in several types for different applications and designs. 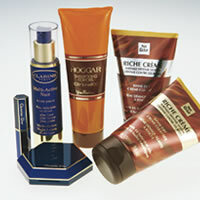 For example, the aluminum vapor deposited type is ideal for packaging for familiar items such as cosmetics and food products. Other vapor deposited types in a variety of metals are suitable for applications that must withstand punishing environments, such as decorative panels for cars or household appliances. 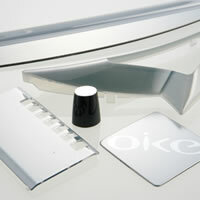 Applications range from the addition of luster to portions of paper, clear sheets, adhesive labels, or molded plastic products to designs for car parts and the like. Glitter and beauty with a transparent effect for textiles, etc., for the fashion industry. These products respond flexibly to heating and stretching during in-molding. Vapor deposited metallic transfer film is available in metals other than aluminum for additional weather resistance, electrical insulation, suitability for molding, etc. 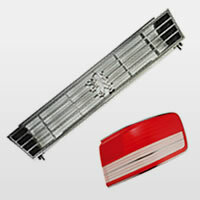 It is also possible to adjust the light transmittance to match the customer's requirements.